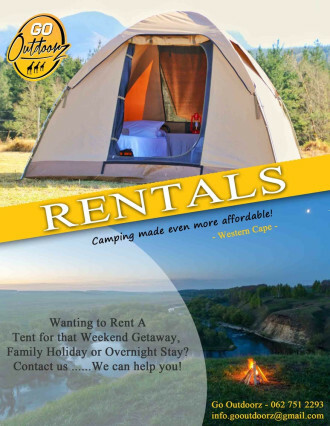 Go Outdoorz is a unique camping and outdoor business catering for all outdoor enthusiasts, We sell a full range of outdoor equipment such as tents, chairs, tables, gazebos, accessories, spares and much more. Camping make even more affordable! Go any time......... Go any place!